Did you know Spikenard is The Oil of Gratitude? Spikenard encourages true appreciation for life. It addresses repeated patterns of ingratitude, where a person sees themselves as a person whom criticism or abuse may be directed, or a victim of their life circumstances. It encourages individuals to let go and find appreciation for all of life’s experiences. Spikenard is grown in Nepal, China, and India. For centuries the oil has been used as a perfume, as a medicine, and in religious ceremonies from Europe to India. In the bible It was offered on the specialized incense altar in the time when the Tabernacle was located in the First and Second Jerusalem Temples. Several references to Spikenard, were made in both the Old and the New Testament. 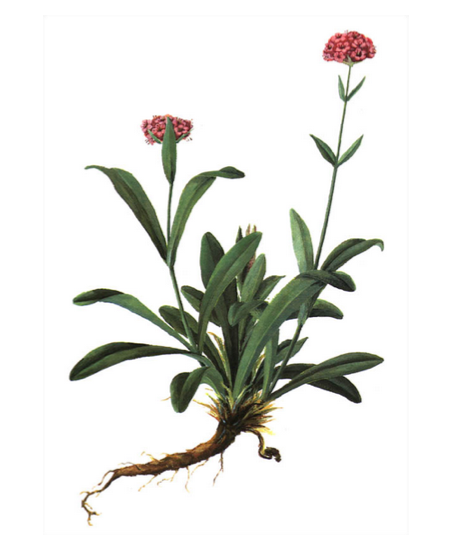 Spikenard was one of the early aromatics used by the Egyptians and is mentioned frequently throughout the bible. The powdered root of Spikenard is also mentioned in some Islamic traditions as the fruit which Adam ate in Paradise, which God had forbidden him to eat. It was traditionally used to anoint people of high honor due to its healing properties, and is considered to have spiritual applications for blessing and protection. Spikenard has a long list of therapeutic uses in clinical aromatherapy and is considered non-toxic, non-irritant, and non-sensitizing. It is also used to season foods in Medieval European cuisine.The health benefits of Spikenard Essential Oil can be attributed to its properties as a deodorant, laxative, and a sedative in nature. This means an agent that stimulates bowel excretion. Italians have used Bergamot for years to reduce tension and stress and to soothe and rejuvenate skin. Bergamot is unique among citrus oils due to its ability to be both uplifting and calming, making it ideal to help with anxious and sad feelings. Black Pepper is best know as a cooking spice however, Black Pepper also promotes healthy circulation both internally and externally, but should be used with caution when applied topically due to its strong warming sensation. Fennel is best known for its distinct licorice aroma and taste, yet its ability to ease digestive troubles and monthly menstrual cycles are equally noteworthy. Ginger can lessen motion sickness, soothe an upset stomach, and help digest food after a large meal. Ginger essential oil can also be applied topically or inhaled to help with digestion issues. Rose essential oil is known to promote smooth, beautiful skin. The health benefits of Spikenard essential oil can be attributed to its properties as a, deodorant, laxative, and sedative. 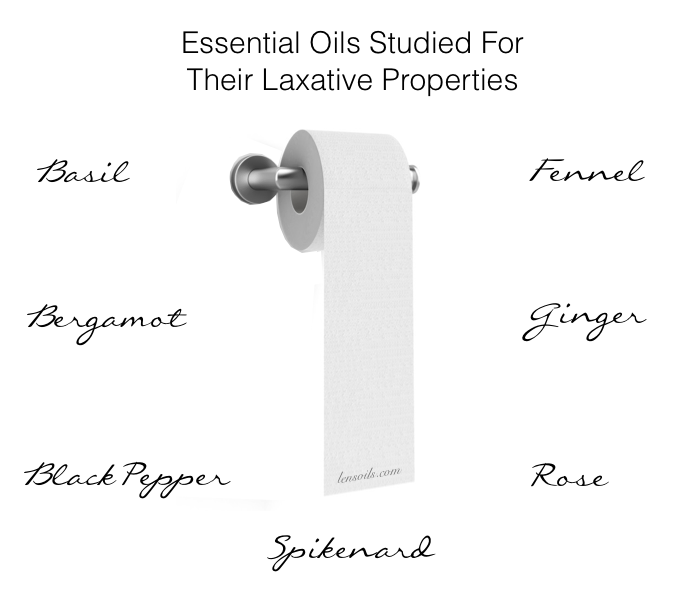 Essential Oils Studied for their Laxative Properties.